A FORMER senator who kicked and spat at Gardaí when they arrested him outside a popular Irish music festival has been handed a three month prison term. James Heffernan (38), a former Labour senator and General Election 2016 candidate for the Social Democrats, boasted to Gardaí that he had “a whole heap of porter, whiskey and gin”. Heffernan was convicted in January of multiple charges arising from his behaviour outside the 2016 Indiependence Festival in Cork. 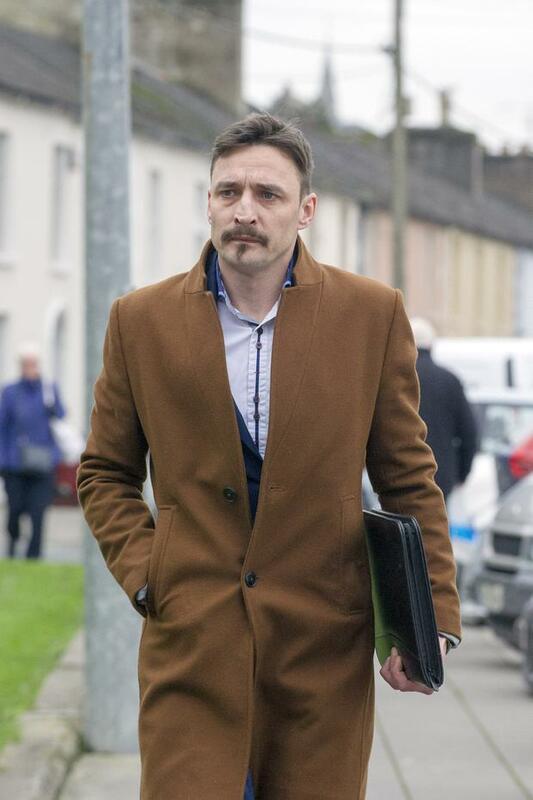 The Limerick politician had denied a charge of drink driving, two counts of careless driving, three assault charges and one Public Order offence before Fermoy District Court. However, he was convicted of drink driving and was disqualified from driving for three years. Judge Brian Sheridan warned Fermoy District Court that Heffernan seemed to have “a complete blanket denial” over what had happened that day. The judge said the defendant’s behaviour that day was of the “Dr Jekyll and Mr Hyde” nature. He said that Heffernan seemed to blame everyone but himself for what had happened. Judge Sheridan also noted that, in light of the evidence, he would have expected some modicum of remorse from the defendant. He said it was a very sad case given that Heffernan had shown huge potential in his life and career. The court was told the teacher and politician had suffered from mental health issues as well as addiction problems. His personal life had “fallen off a cliff” and he was struggling to cope. However, the judge said he felt, given the defendant’s attitude to the proceedings, he felt a community service order was unsuitable. Heffernan, a teacher by profession, was convicted of two common assault charges and one charge of assault causing harm. He had vehemently denied delivering “a kung fu” kick to a Garda’s back while officers were arresting him. The teacher was arrested by Gardaí three times in the space of 24 hours over July 31/August 1 2016. Previous evidence to the court had alleged Heffernan spat in the face of an arresting Garda with the officer later having to undergo precautionary blood tests. Judge Brian Sheridan ruled in favour of the State following the two-day case and convicted Heffernan on a total of seven charges. Judge Sheridan noted that Heffernan was stopped while driving with a 100mg blood alcohol level. He disqualified him from driving for three years and fined him €500. Judge Sheridan also convicted him of two counts of careless driving. He imposed a fine of €400 for the two offences. The judge said he was also convicting Heffernan on the three assault charges – two of common assault and one of assault causing harm. Judge Sheridan noted a Probation and Welfare Service (PWS) report. Inspector Tony O’Sullivan previously confirmed that the defendant had no previous convictions. The former senator denied suggestions he ever spat at officers – and said he simply asked them to leave him alone outside the festival grounds. Heffernan, identified in court as Seamus O’Heifearnain, asked for recognisances to be fixed in case of appeals. The charges all related to July 31/August 1 2016 and involved locations at either the Limerick Road and Coolnanave area of Mitchelstown, not far from where the Indiependence music festival was concluding. Judge Sheridan was told that security staff at the festival made the decision not to allow the defendant back onto the festival grounds. However, the defendant insisted he was never on the festival grounds. Gardaí intervened when Heffernan was seen kicking security barriers which then fell onto the roadway. Gardaí said they initially asked the defendant’s friends to take him away but, when he fell into the barriers, officers were worried he posed a danger to himself and others. When informed he was being arrested, a Garda said Heffernan fell to the ground and pretended to be unconscious. Gardaí explained they had to physically lift him towards a parked patrol vehicle – with one festival security guard explaining the defendant refused to walk and dragged his feet along the roadway. Security guard Keith Thompson told the court said he then saw the defendant kicking one garda and spitting at another. In total, witnesses claimed Heffernan spat or kicked out at three Gardaí. Gardaí said the defendant became even more aggressive in Fermoy Garda Station, kicking a garda in the mouth so that he was left bleeding from a cut lip. He then spat in the face of Detective Garda Jim Fitzpatrick. The detective, who is now retired, said he had to undergo a HIV test and wait three months for the results to come back all clear. Judge Sheridan was told by Gardaí that, at one point, it required four officers to deal with the defendant. A few hours later, the defendant was said to be calm and coherent. However, Heffernan had to be arrested again a short time later, at 6.10pm on August 1, after being seen walking in a dangerous manner across the busy Fermoy-Mitchelstown road near Fermoy Park. In respect of the drink driving charge, the court was told Heffernan was stopped by Gardaí and taken to Fermoy Garda Station where a 100mg blood alcohol reading was obtained. Labour Party senator to the 24th Seanad. He had unsuccessfully contested the 2007 and 2011 General Elections in Limerick County for the Labour Party. A graduate of the University of Limerick and a qualified primary school teacher, Mr Heffernan taught at schools in both Ireland and the UK. He is also a former member of Limerick Co Council. Mr Heffernan lost the Labour whip after he voted against the Fine Gael-Labour Government over the 2012 Social Welfare Bill. He contested the 2016 General Election for the Social Democrats but, despite garnering over 3,000 votes, was not elected to the Dáil.